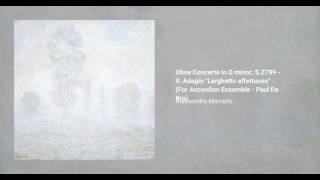 Alessandro Marcello first published his Concerto for Oboe and Strings in D minor in 1716. 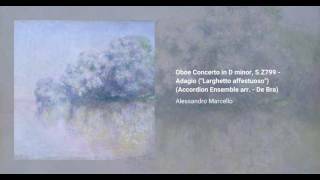 It has since become his most famous work, and one of the most popular items in the oboe repertoire. The piece was made famous through Johann Sebastian Bach's transcription for harpsichord, catalogued as BWV 974.